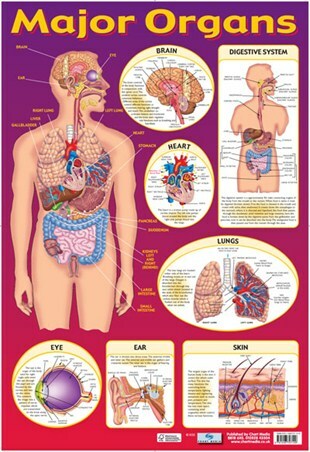 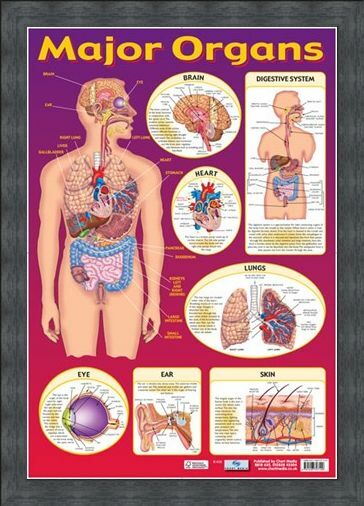 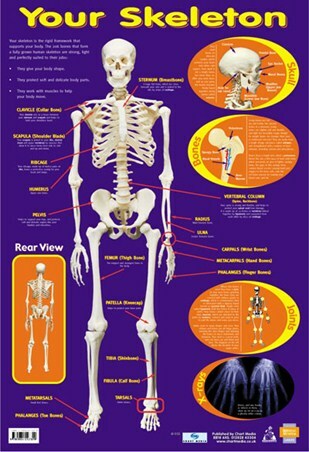 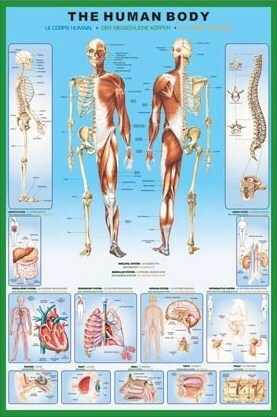 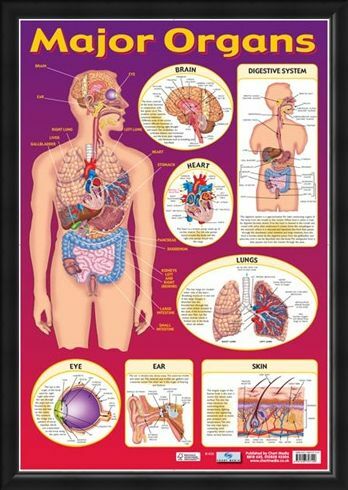 Children's Educational Mini Poster: Work your way around the Human Body with this intricately detailed glossy poster illustrating our major organs. 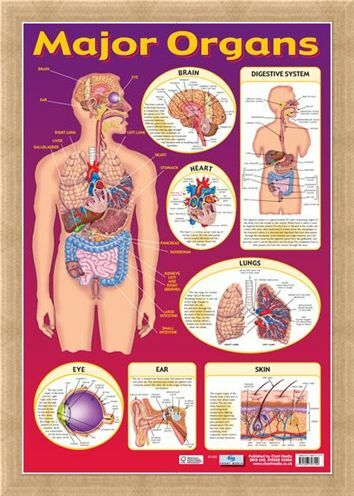 Concentrating on the Eye, Ear, Skin, Lungs, Heart, Brain and The Digestive System, this poster gives you all the information you need to pass your exams whilst having a bit of fun along the way. 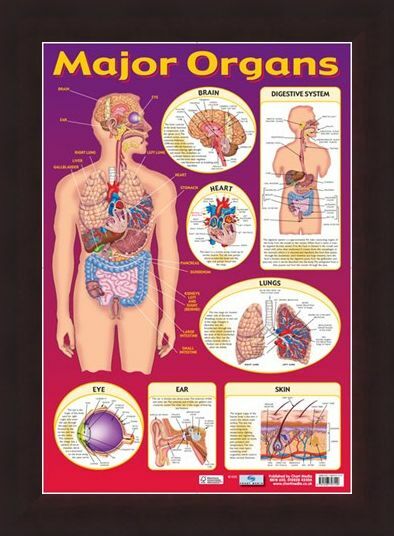 Learn interesting facts such as, the largest organ of the human body is the skin, oxygen is absorbed into the blood stream through tiny sacs called alveoli and the left side of the heart pumps blood around the body, while the right side pumps blood into the lungs. 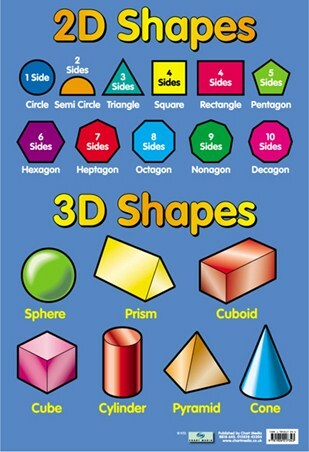 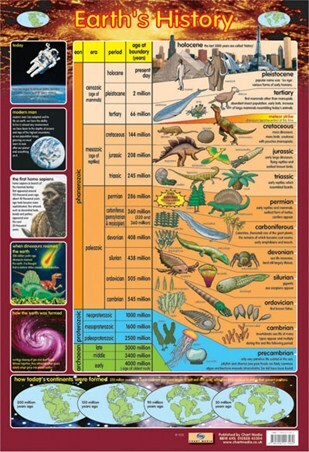 With this up on your wall you are sure to pass any test that your biology teacher throws at you! High quality, framed Find Your Way Around the Human Body!, Major Organs of The Body mini poster with a bespoke frame by our custom framing service.